It’s no secret that music enriches lives. In fact, according to the National Association of Music Merchants (NAMM), 85% of people who do not play a musical instrument say they wish they had learned to play one. And, when it comes to kids, learning a musical instrument has numerous benefits. Music not only expands the mind, but encourages creativity, discipline, and patience as well. It gives kids an outlet to express themselves, and offers a refuge when needed. The intellectual challenge also strengthens the brain, and can actually help defend against cognitive decline later in life. 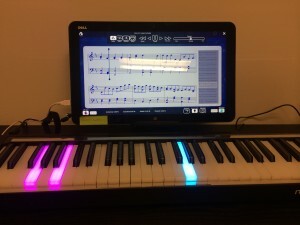 Playing an instrument can also help develop motor skills, since it requires being able to move hands, fingers, and feet, all while reading music and breathing correctly. While all the benefits are well worth it, it takes a team effort between you and your child for them to be positively impacted. These tips from McCarthy Music can help create an encouraging and supportive environment for your child to not just learn how to play, but to enjoy it as well. It’s no secret that your child loves to be involved in anything you’re doing – make practice time something to bond over! 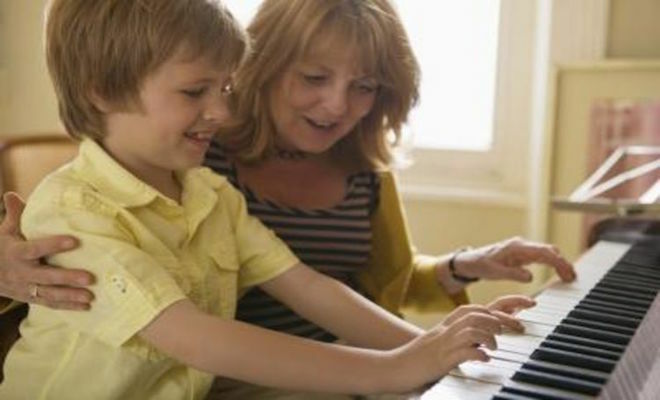 Setting aside an hour of your day to spend with your child during practice time makes learning how to play the piano and any other instrument a fun and memorable experience for both parents and children. At the beginning of each week, talk with your child and see what they’d like to accomplish that week. Whether it’s learning a new song or mastering a technique, it’s important to show them that you’re involved in what they’re trying to achieve. Work toward the goal with your child and be there to provide motivation when frustration arises. Instead of settling for television or tablet time, encourage your child to practice to pass the time instead. Challenge them – have them play their top five favorite songs for you to make it more fun. Keep your own practice schedule up to date! Play in front of your child and show him or her that your progress is important to you – this will motivate them to be just as good as mom or dad! Learning the ins and outs of an instrument is hard for everybody. Make sure to maintain your cool when your child gets frustrated – sometimes it’s okay to take a break! Music is well worth the effort, and learning how to play can help children thrive. Encouraging and supporting your child in this learning experience can make a world of difference to them, and change their lives forever.